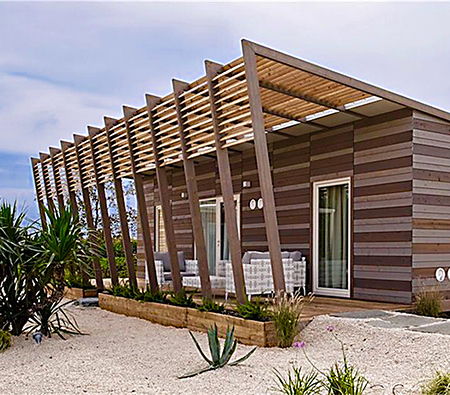 The newly built Talas bungalows, situated 150 meters from the sandy beach of Lido di Capoliveri and adjacent to the diving center, follow an innovative and eco-sustainable design concept. 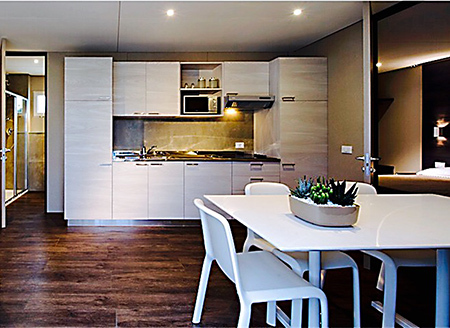 The architect’s aim was to create a completely new product category in tourist accommodation, in the light of changing lifestyles, and to embrace contemporary and eco-sustainable design in both aesthetic appeal and ecological features. The apartments are part of two terraced bungalows: the first bungalow has two apartments, each sleeping 4 (one double bedroom, one small bedroom with bunk beds, living room with kitchenette, bathroom with shower and covered veranda); the second bungalow has one apartment sleeping 6 (two double bedrooms, one small bedroom with bunk beds, living room with kitchenette, two bathrooms with shower and covered veranda). The bungalows also have air conditioning/heating, flat screen TV, Wi-Fi, barbecue and parking space. Final cleaning is included. Bed linen and towels and infant cots will be provided on request. Optional costs (by reservation): Per person/week: Bed linen € 10; towels € 5. Infant cot € 10 per night. Bookings are Saturday to Saturday.